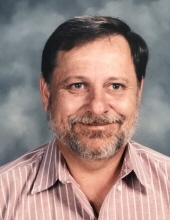 - Ronald R. Trahan, 70, of Pascoag, passed away after a brief illness on Wednesday, February 6, 2019 at Landmark Medical Center, Woonsocket. He was the former husband of Yvette (Cartier) Trahan. Born in Woonsocket, he was the son of the late Edward and Alice (Tessier) Trahan. Ronald was a graduate of Woonsocket High School in the Class of 1967; of RI College, where he earned a Bachelor of Science Degree in 1971 and of Mississippi State University, where he earned a Masters Degree in 1984. He served in the RI Air National Guard for six years and subsequently taught science at Calcutt Middle School in Central Falls until his retirement in 2011. He was a passionate gardener and cook and loved nothing more than puttering around in his gardens and spending long hours in the woods identifying edible mushrooms. He was devoted to his two children: Eric Trahan of Uxbridge, MA and Kelly E. Cournoyer of Harrisville; and a sister Janet Debroisse and her husband Robert, of Port St. Lucie, FL. He was also the twin brother of the late Richard E. Trahan. In addition, he leaves behind four beloved grandchildren: Tyler and Branden Trahan and Morgan and Luc Cournoyer and several nieces and nephews. Friends and family are invited to his graveside service, which will be held Thursday, February 14, 2019 at 10 AM in St. Jean the Baptist Cemetery, 314 Wrentham Rd, Bellingham, MA. Calling hours are omitted. Arrangements are under the direction of the Boucher Funeral Home, 272 Sayles Ave. Pascoag. To send flowers or a remembrance gift to the family of Ronald R. Trahan, please visit our Tribute Store. "Email Address" would like to share the life celebration of Ronald R. Trahan. Click on the "link" to go to share a favorite memory or leave a condolence message for the family.